If you have run low on firewood after a bitterly cold winter, then the time has come to order some more. If you have run low on firewood after a bitterly cold winter, then the time has come to order some more. However, for Harford County homeowners who are new to ordering firewood, some misconceptions can confuse and mislead them. 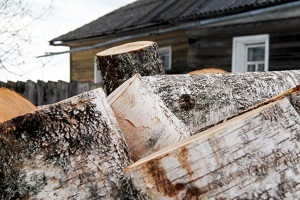 Once you have your next stock of firewood delivered, make sure you don’t fall for these myths! During the winter in Harford County, you shouldn’t have to worry about insects and other pests making your woodpile their next home. Even so, a measure of caution is a good approach. While it’s tempting to lean the stack against the side of your home, your garage, or another external building on your property, don’t do this. That’s how you get pests; otherwise, this isn’t likely to happen. For best results, stack your firewood somewhere out in the open where it can still be protected against the elements. Also, keep your piles small, so that termites, ants, and other rodents can’t use your wood stack as a hideout against the cold. Another myth states that it doesn’t matter which way you stack your firewood. However, Harford County residents should know that it does matter. When you stack the wood with the bark facing up, it has several benefits: for instance, it accelerates the rate at which the wood dries; it also helps the wood resist the effects of rotting and decay, especially during periods of heavy rain and other precipitation; and lastly, it also helps protect the rest of the wood whenever it rains or pours down sleet, ice, and snow. It’s easy to think that all wood behaves the same way when it ignites. Fires, by their nature, are unpredictable. That’s why you should control the burn at all times. That said, all firewood doesn’t burn the same. Cheaper, less-seasoned wood will produce much denser smoke without much heat. This isn’t pleasant when you start the fire outdoors, but it is even less fun when you use it in your living room fireplace. Choosing softer wood, such as pine, means you will have to feed the fire. For best results, choose a soft variety of hardwood, such as birch, polar, or maple. Oak, hickory, and other hardwoods produce the best results. This entry was posted on Friday, February 1st, 2019 at 2:02 pm. Both comments and pings are currently closed.